Welcome to the holiday season. This is a time defined by cookies, mistletoe, tree trimming, eggnog, and, of course, Christmas movies. There are a lot of Christmas movies out there that cater to a wide range of tastes, from the highbrow to the lowbrow, to the kind of brow that can only be defined by the Hallmark Channel. Some of these movies are worth your time, others…less so. We’ve created a handy ranking to help you figure out which movies deserve a spot on your nice list this season. Christmas Spirit: How uplifting is the movie? How much do its values or themes play into the magic, love, and generosity we associate with this time of year? Failing all those other factors, is it at least festive? Humbuggitude: The best Christmas movies aren’t 100% sugar plum loveliness. For those who like their holiday films with bite, we have this category, which takes into consideration skepticism, humor, snark, and darker themes. Snow Factor: Christmas = Santa, the North Pole, and lots of snow. How well do the listed movies make use of it? 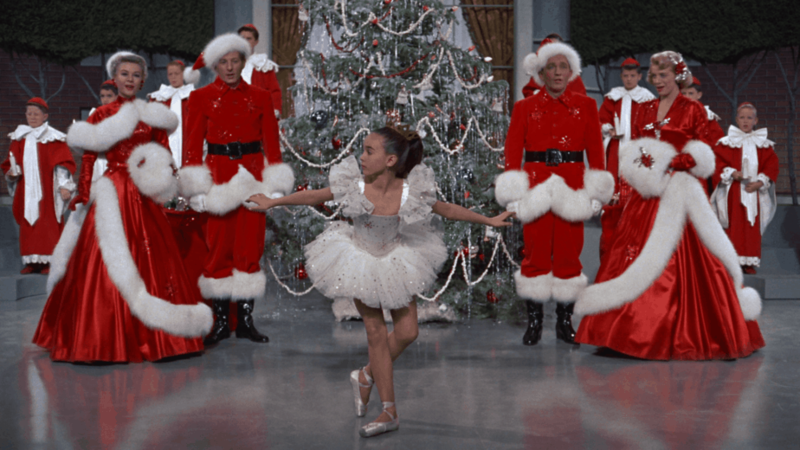 Holiday Centrality: How important is the holiday to the movie? Are we looking at a true Christmas movie, in which the holiday defines the film, or is it a movie that takes place at Christmas, where the holiday and its themes are merely part of the setting? It should be noted that occasional lack of holiday centrality (and in some cases, lack of snow — sorry, California!) dealt a tough statistical blow to some otherwise great Christmas-related films. In these cases, we’ve tried to make a good text-based argument as to why they’re still very much worth your attention for the holidays. Now get cozy with some hot cocoa and candy canes while we dive into 50 of the best Christmas movies of all time. Tim Burton and Henry Selick’s classic is actually a 2-for-1: It’s great for both Halloween and Christmas. This makes it an excellent choice if you happen to love both holidays, or if you’re sick of the usual saccharine Christmas fare, but still want to get into the holiday spirit. 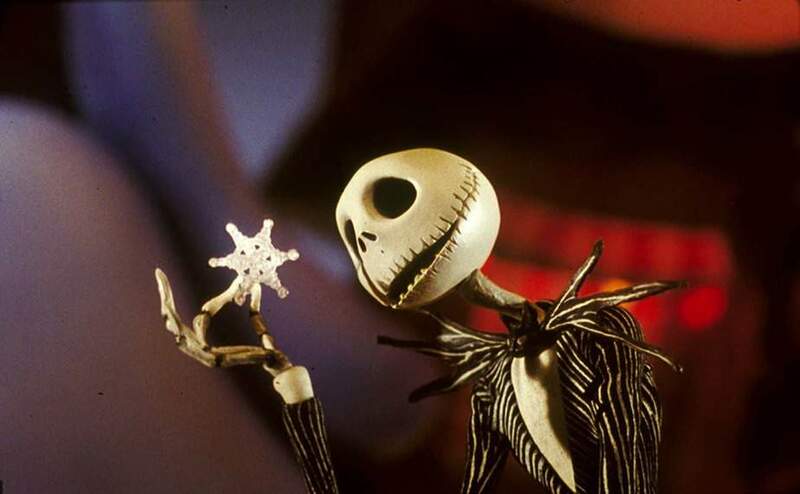 The tale of bored King of Halloweentown Jack Skellington’s discovery — and subsequent takeover — of Christmas has inspired and spooked generations of viewers, for good reason. It’s got that unmistakable Burton design aesthetic, incredible direction from stop-motion icon Selick (he also worked on 2009’s Coraline), and delightful, instantly memorable tunes from soundtrack composer Danny Elfman — who also provides Jack Skellington’s singing voice. 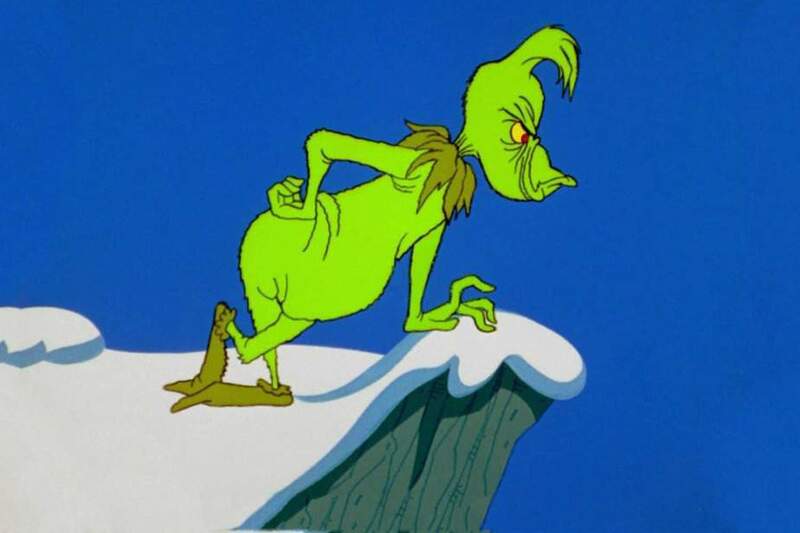 Unless you’re intentionally trying very hard, before Christmas hits, encountering the Grinch is an inevitability. The only unknown factor is which version of him you’ll be watching. Three versions of the movie currently exist: the animated 1967 TV special narrated by Boris Karloff, the 2000 live action version starring Jim Carrey as the grumpy green guy, and this year’s feature-length computer animated edition with Benedict Cumberbatch. In each, the plot is the same, save a few added details. But overall quality counts for a lot, and in the category of critical respect, the original reigns supreme. You just can’t beat the classic Thurl Ravenscroft tunes and Chuck Jones animation. There are plenty of movie adaptations of Charles Dickens’ famous Christmas tale, enough that you could probably watch one per day from now until December 25 and still have some left over. But it’s the 1951 version that’s held in the highest regard. The reason? 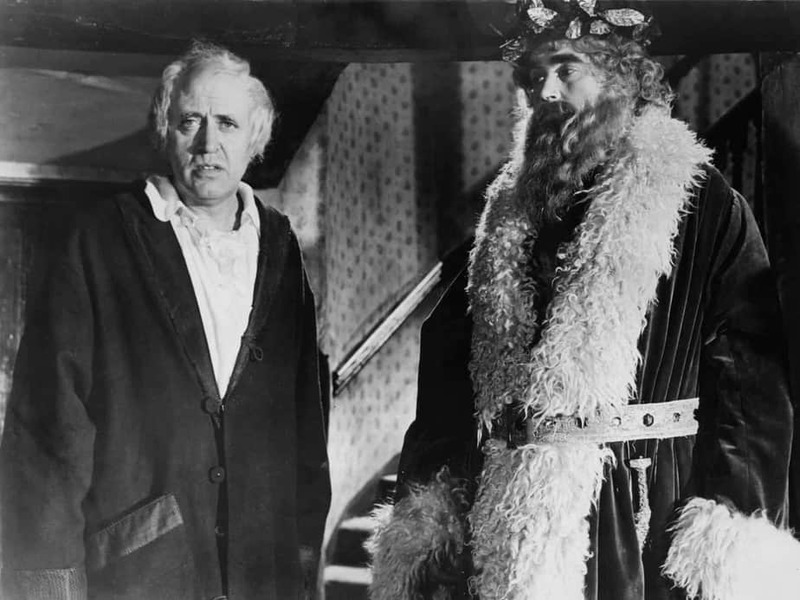 Part of it is the lead performance from great British thesp Alastair Sim, who brings a sense of dark humor to the role. But the movie also balances the magic, wonder, and scarier bits of Dickens’ story in a way that feels truer to the atmosphere of the book than most other versions out there. 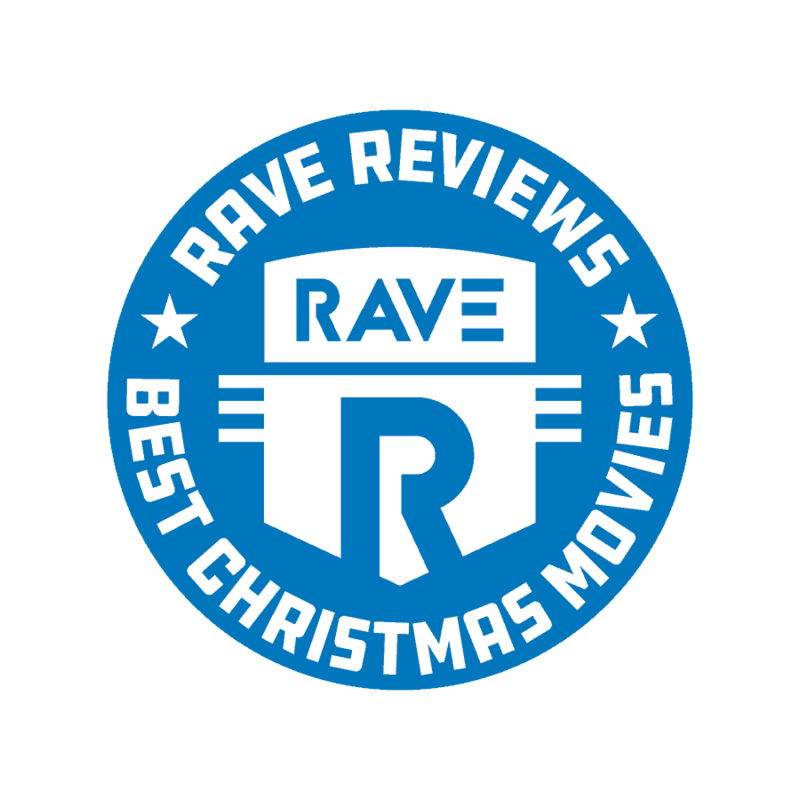 Do you love watching a great bad movie around the holidays? 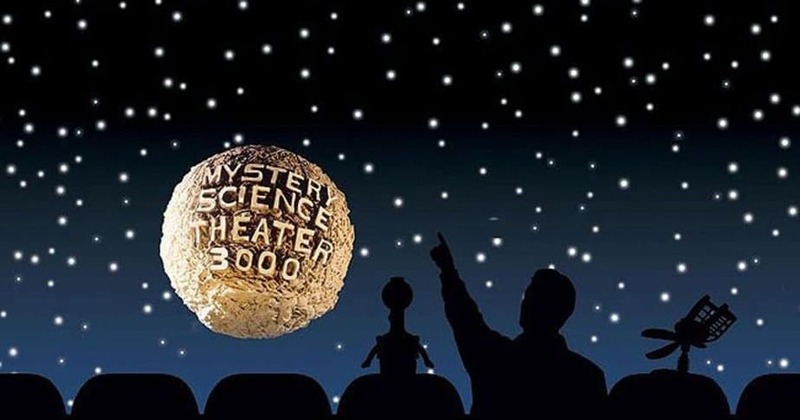 If your snarky guffaws and quips during cheesy Hallmark Christmas movies are starting to annoy your family, give this classic MST3K episode a spin. A true stinker from 1964, Santa Claus Conquers the Martians is the perfect candidate for host Joel Hodgson and his robot sidekicks Tom Servo and Crow to roast with their particular brand of nerdy, sarcastic humor. Watch as jealous green aliens kidnap Santa to give their selfish children gifts! Witness as 2 hapless Earthling children brave men in robot costumes and bear suits to return their jolly old elf to his home planet! Santa Claus Conquers the Martians has all the horrible elements of your favorite bad movies, and the Mystery Science Theater framework and commentary means you don’t even need to make up your own jokes. 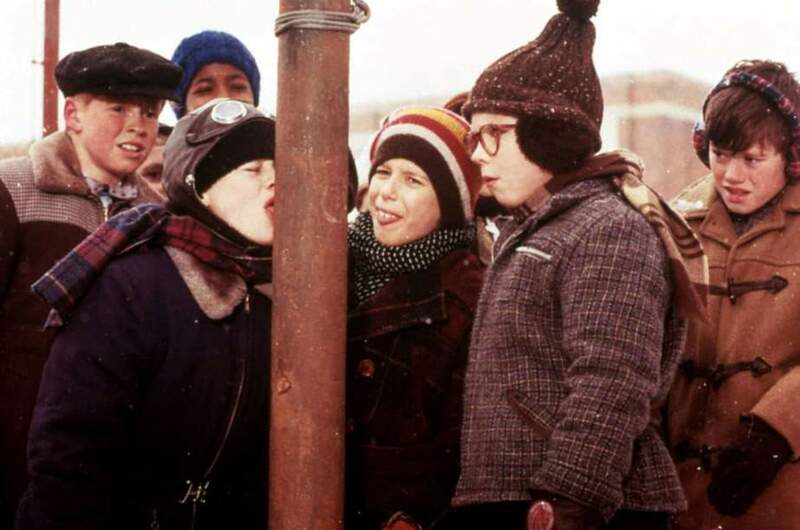 It’s hard to go wrong with A Christmas Story. A staple of basic cable holiday viewing for years, the tale of young Ralphie Parker’s singular obsession with a Red Ryder BB gun is as synonymous with Christmas as holly and eggnog. Maybe not everyone in your crew is psyched to watch a creepy holiday film, or laugh at a bad one. But chances are, nobody’s going to object if this movie’s on the menu. There’s something for everyone, from childhood nostalgia to slapstick, to good humor across the spectrum. 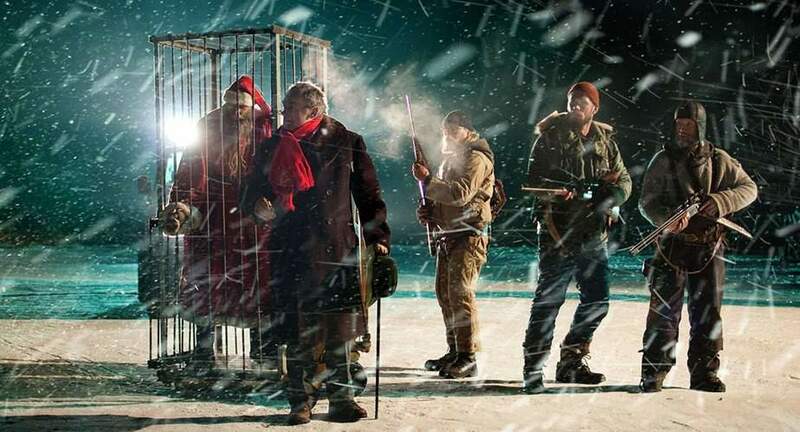 This Finnish horror film has won fans of all stripes (including many non-horror lovers) for its particularly fresh take on the Santa legend. On Christmas Eve in northern Finland, an archaeological dig happens upon the real Santa Claus. This Santa, however, isn’t your typical, round-bellied Jolly Old Elf. He’s lean, mean, primeval, and bloodthirsty. A young boy and his father, reindeer hunters, capture the creature and try to sell him to a greedy businessman. But they haven’t taken into account Santa’s elves, who are violently keen to get their boss back. By now, you’ve probably heard “Christmastime is Here” (both the vocal and instrumental versions) at least once this year. 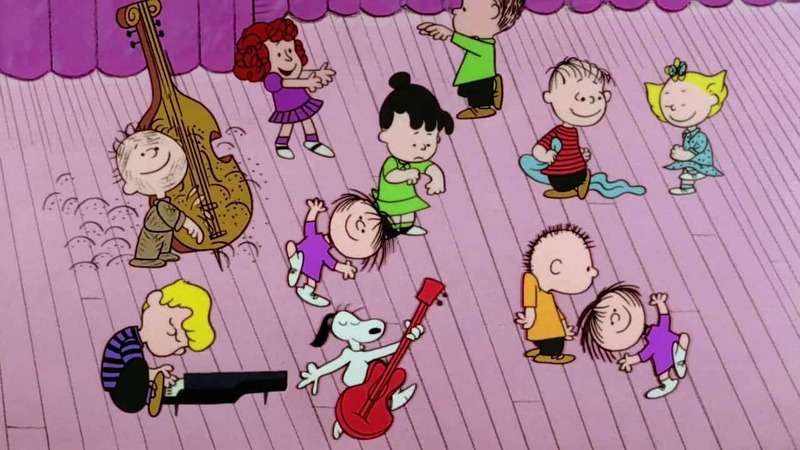 But have you actually watched A Charlie Brown Christmas yet? If not, you’d better get on it. The animated classic maintains its status because of the authentically childlike way it views Christmas and winter. It’s a sweet, retro gem tinged with a little bit of melancholy, in a way that only Charlie Brown and his friends can deliver. This modernized interpretation of A Christmas Carol celebrates its 30th anniversary this year. Whether you’ve seen it a million times or you’re a newcomer, there’s no time like the present to enjoy this great Christmas comedy, a masterful balance of heart and snark. 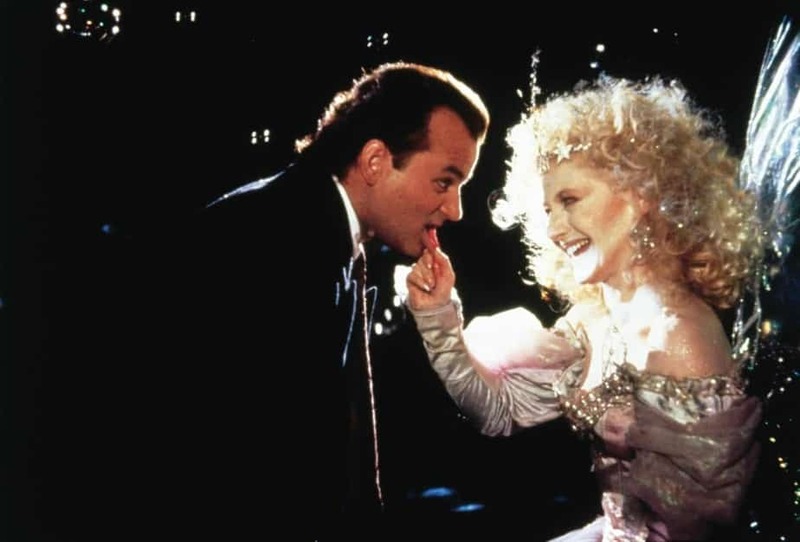 Penned by old-school SNL writing alums Mitch Glazer and Michael O’Donoghue, Scrooged includes a murderer’s row of talent, including Bill Murray, Bobcat Goldthwait, Karen Allen, and Carol Kane. Even Robert Mitchum shows up. Murray plays Frank Cross, the greedy head of a TV network who’s visited by 3 spirits on Christmas Eve after firing his hard-up employee (Goldthwait). Can Frank’s warped, calloused soul be saved? You probably already know the answer, but it’s still fun to watch the journey. A lavish traditional Swedish Christmas opens Ingmar Bergman’s semi-autobiographical Fanny and Alexander, one of the director’s most highly-acclaimed works from among a body of masterpieces. The film follows the 2 titular children, members of a turn-of-the-century theatrical family in Sweden, who weather the sudden death of their father, and their mother’s remarriage to a strict Lutheran clergyman. But before things get rough, we’re treated to a magical holiday party that is the stuff of dreams. If you’re a child of the 90s, chances are you’ve seen the Home Alone movies more than once. 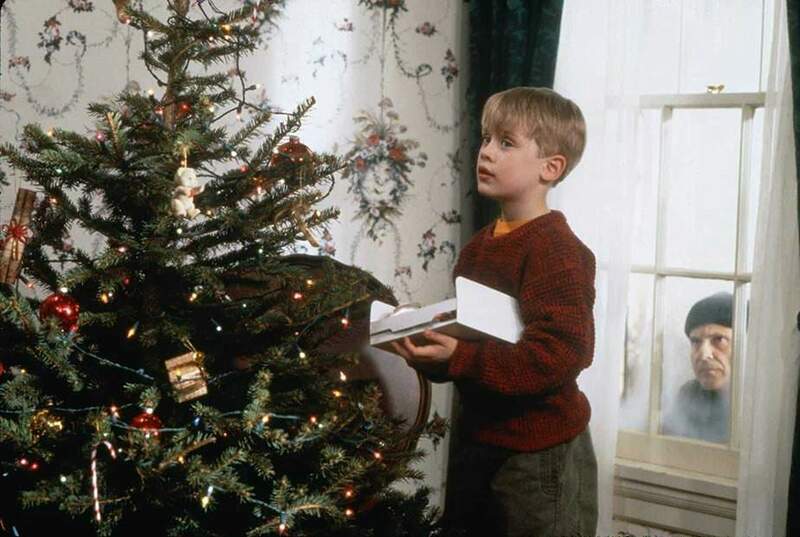 These John Hughes-penned, Chris Columbus-directed holiday staples introduced a generation of kids to DIY home security, Talkboys, and ordering room service on your parents’ dime. In both movies, Kevin McCallister (Macaulay Culkin), the youngest son of a massive brood, gets left behind when his harried family loses track of him in their vacation travel preparations. In the first movie, Kevin is stuck at home, fending off a pair of burglars (Joe Pesci and Daniel Stern). The sequel involves an airport mixup that strands Kevin in New York one year later. 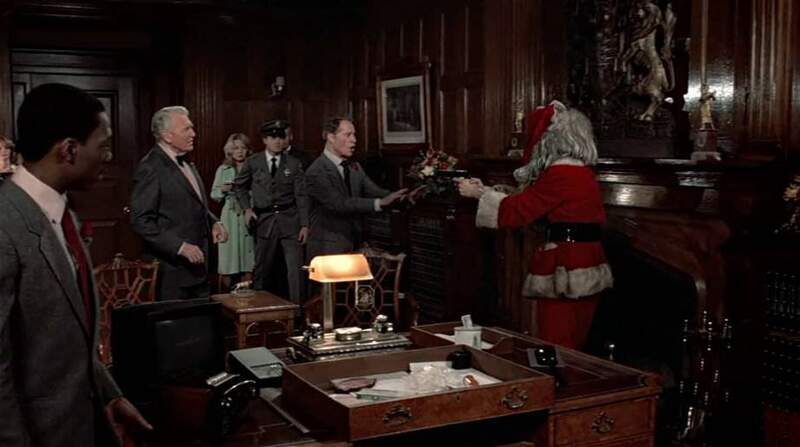 This time he’s got a penthouse at the Plaza Hotel, and attempts to foil the Wet Bandits’ heist of a toy store. This one’s a relative newcomer to the holiday movie pantheon (it only came out last year), but it’s sure to make a considerable impression on audiences for years to come. 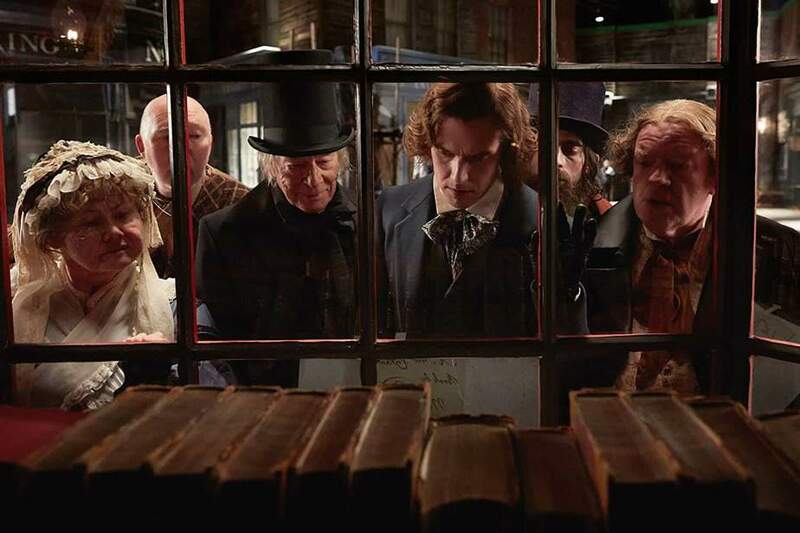 The Man Who Invented Christmas gives us the origin story of A Christmas Carol, following Charles Dickens (here played by Dan Stevens) as he gathers the inspiration to write what would become his most famous work. There’s considerable creative liberty taken here, but it’s charming to watch the movie’s depiction of the creative process, as people Dickens meets in real life inspire fictional characters who start to accumulate around him as he writes the story. The film also digs a bit into the social issues and inequalities of 19th century London that Dickens was passionate about, namely the treatment of the poor, and his own childhood experience with poverty. Bad Santa is a pitch-dark comedy with an arthouse pedigree, courtesy of Ghost World and Crumb director Terry Zwigoff. 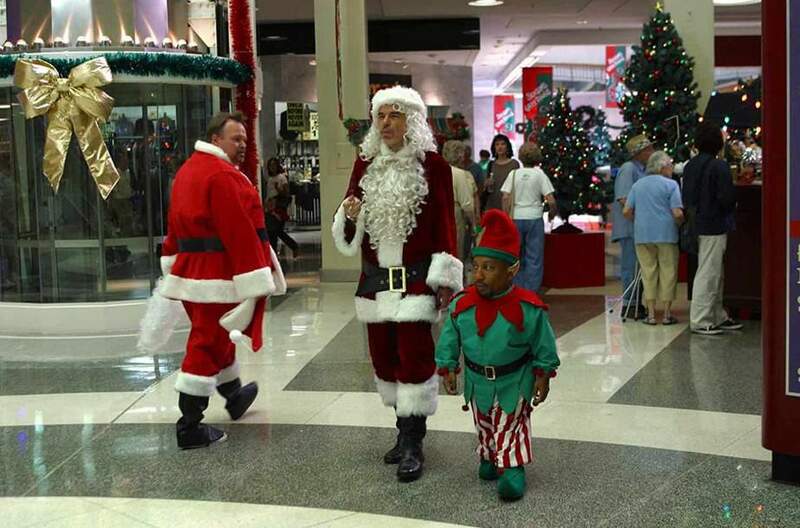 Every year at Christmas, con man Willie T. Stokes (Billy Bob Thornton) and his diminutive partner-in-crime, Marcus (Tony Cox), run a scam: Willie takes a job as Santa at a mall, Marcus works as an elf, and together the 2 rob the stores just before Christmas. But the gig is wearing thin, and the mall’s manager (John Ritter) and security chief (Bernie Mac) are catching wise to their plans. In the meantime, Willie takes pity on a bullied kid (Brett Kelly) and tries to give him life advice. 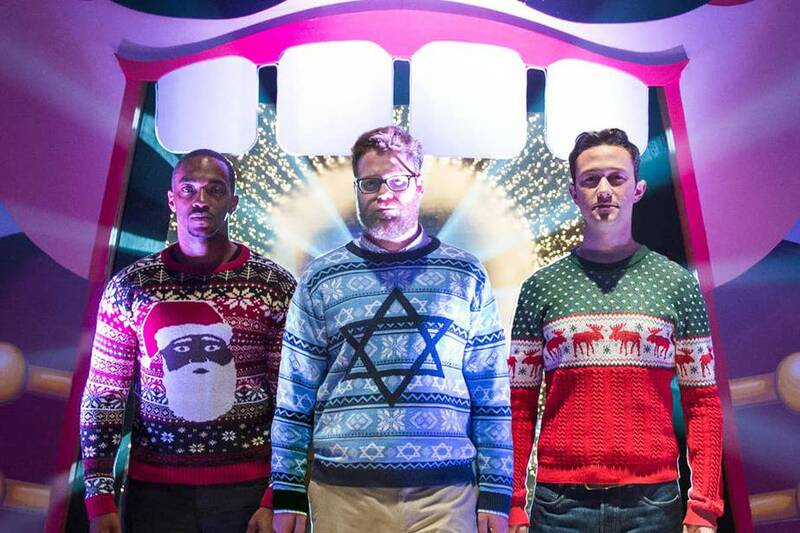 Christmas gets the Seth Rogen treatment in this comedy about adult friends coming of age. Isaac (Rogen), Chris (Anthony Mackie), and Ethan (Joseph Gordon-Levitt) are childhood besties who have spent Christmas Eve together for years. Now that they’re all in different stages of life, that’s about to change. On their final December 24th together, the 3 friends set out to find a secret Christmas party that they’ve been obsessed with finding for years. Elf’s status as a future holiday classic seemed unlikely when it first came out in 2003. It is, after all, a pretty straightforward Christmassy tale. It relies on very little of the “good will toward men” elements of It’s a Wonderful Life, and boasts none of the rich history of something like A Christmas Carol. Years of fervent fandom (and a frequent rotation on basic cable) have put any doubts to rest. Elf is here to stay, and not for lack of true quality. 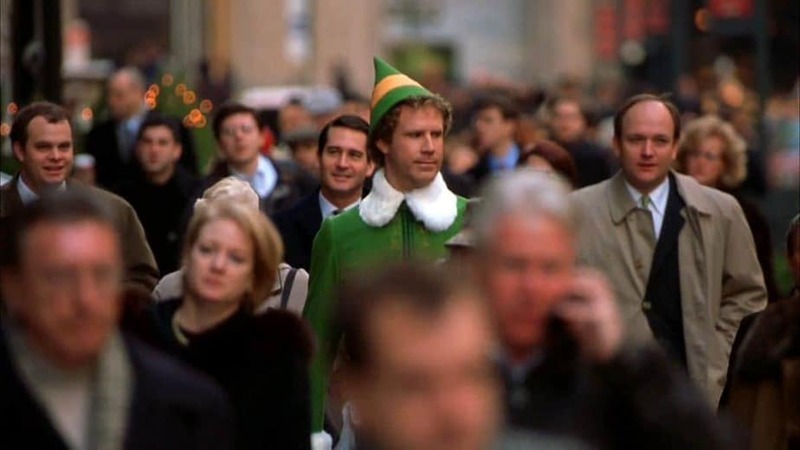 Jon Favreau’s now-iconic story of Buddy the Elf, and Will Ferrell’s performance in the role, are genuinely charming, full of holiday magic and childlike optimism, tinged with some excellent jokes, bit parts, and line readings that reveal themselves with additional viewings. Come for Will Ferrell, but stay for Amy Sedaris and her weird cat-declawing side hustle. Christian Carion’s Joyeux Noel deserves more attention than it gets. A war movie that promotes peace and humanizes the men caught in the crossfire, it may seem an odd choice for holiday viewing. But it’s based on a true story that took place during World War I, and, like It’s a Wonderful Life, it’s a movie that encourages deeper thinking on the themes of its central holiday. 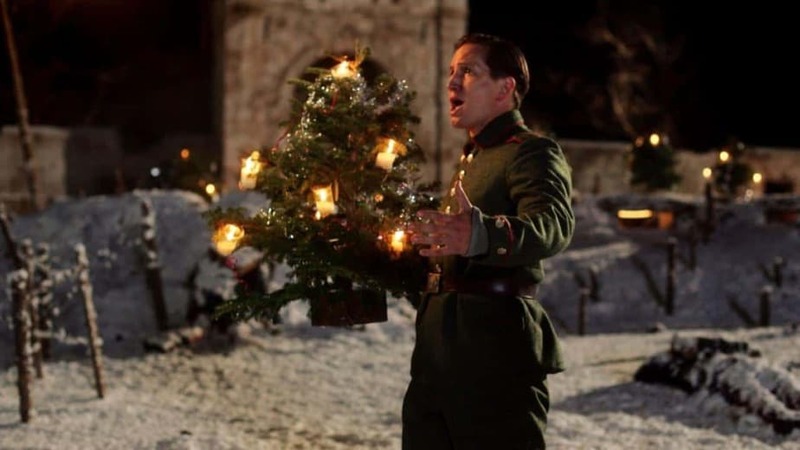 Joyeux Noel tells the story of soldiers from Germany, France, and the UK who take part in an unofficial truce on Christmas Eve, allowing soldiers from warring sides a chance to rest and, eventually, get to know each other. The film’s centerpiece is a gorgeous Christmas Eve mass in which all the soldiers come together and enjoy a moment of true peace and fellowship. If you’re looking for an opportunity to catch a Christmas movie in theaters, Ben is Back (currently making its way across the country in limited release) is a moving, and at times emotionally harrowing, option. Recovering opioid addict Ben (Lucas Hedges) takes a weekend to visit his family over Christmas. His mom, Holly (an incredible Julia Roberts) wants to believe Ben’s claims that he’s doing well, but his sister Ivy (Kathryn Newton) and stepdad Neal (Courtney B. Vance) don’t quite buy it. When the family dog is stolen on Christmas Eve, Holly and Ben go looking for him, thrusting them into an odyssey that forces Holly to understand just how desperate her son’s situation is. How does Santa deliver everyone’s presents in a single night? Arthur Christmas, from Aardman Animations (the British studio behind Wallace and Gromit and Shaun the Sheep), offers an answer. In this exploration of Santa’s workshop, Father Christmas is running a high-tech operation beneath the North Pole. But this year, there’s been a mistake: A little girl is missing a gift. To get it to her in time, Santa’s going to need help from his grandson, Arthur (James McAvoy), who takes part in a sweet action-packed adventure to save one kid’s holiday and keep the family reputation intact. Speaking of animated holiday movies, this stop-action classic from Rankin/Bass (the same studio that brought us Frosty the Snowman and The Year Without a Santa Claus) should also be on your holiday to-watch list. There’s a sweet, DIY charm to Rudolph that feels very of its time, but also brings to mind homemade decorations and childhood crafting tables. 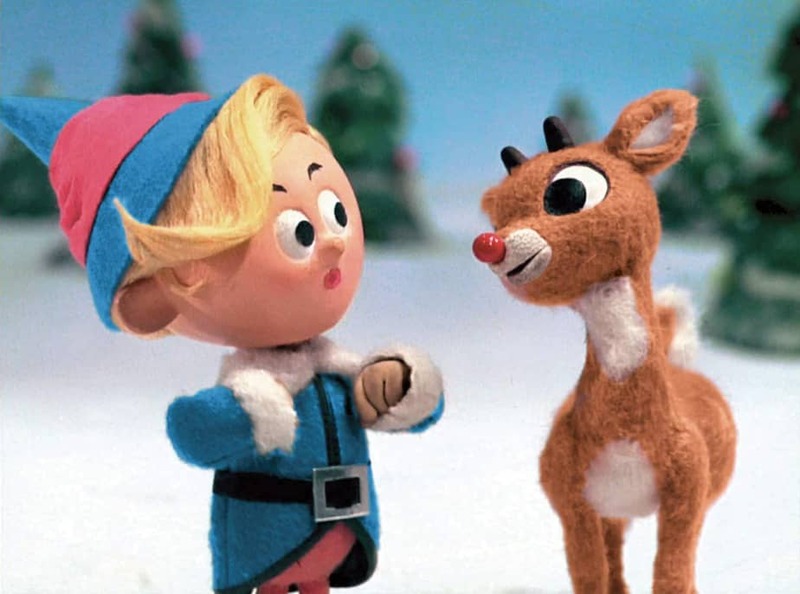 Like How the Grinch Stole Christmas, Rudolph also sports some great classic songs from Burl Ives, as well as iconic Christmas movie images — so much so that director Jon Favreau borrowed liberally from the old Rankin/Bass movies for the opening of Elf. Plenty of Christmas movies celebrate holiday magic, gifts, Santa, and even goofy romance stories. It’s a Wonderful Life is the rare film that combines the magical and romantic with a strong dose of social justice and humanism. 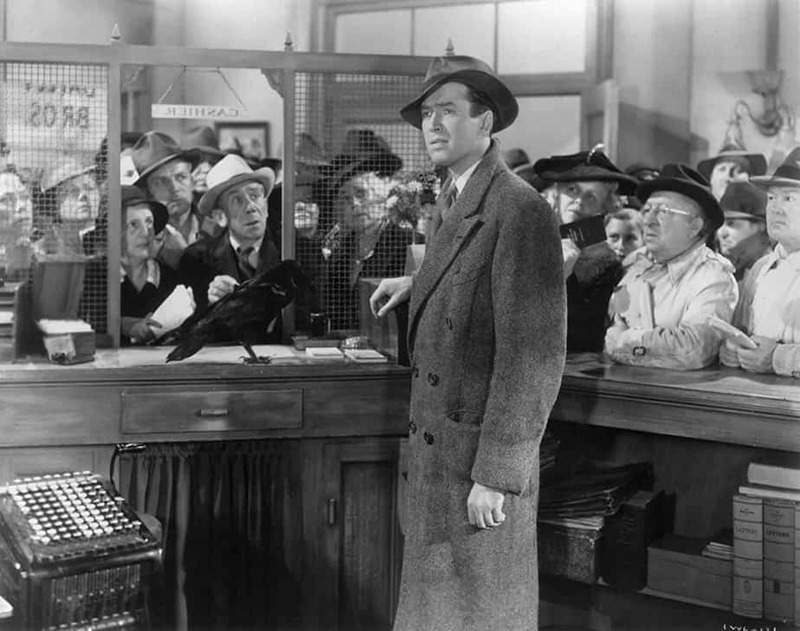 Frank Capra’s great film gives us an everyman hero in Jimmy Stewart’s George Bailey, who aspires to leave his small town of Bedford Falls and make a difference in the world, only to be trapped by circumstance. It takes divine intervention to help George recognize that his life isn’t insignificant, and that his individual actions have made a real impact on the lives of his friends. Trick-r-Treat writer-director Michael Dougherty (who’s also behind the upcoming Godzilla sequel) created an underrated, dark holiday treasure with this movie. His Krampus rejects the warm, fuzzy side of Christmas stories for something equally rooted in tradition, but far darker. Krampus depicts a cursed Christmas in which a high-strung family and their noxious in-laws are already at each other’s throats before an accidental curse summons the titular demon. The evil shadow of Santa Claus in German folklore, Krampus and his minions — which here include evil gingerbread cookies, sinister snowmen, and demonic antique toys — have come to drag the whole brood to hell, unless they can find a way to stop him first. Think National Lampoon’s Christmas Vacation by way of Gremlins, mixed with Calvin and Hobbes (yes, really), and you’ll get the idea. 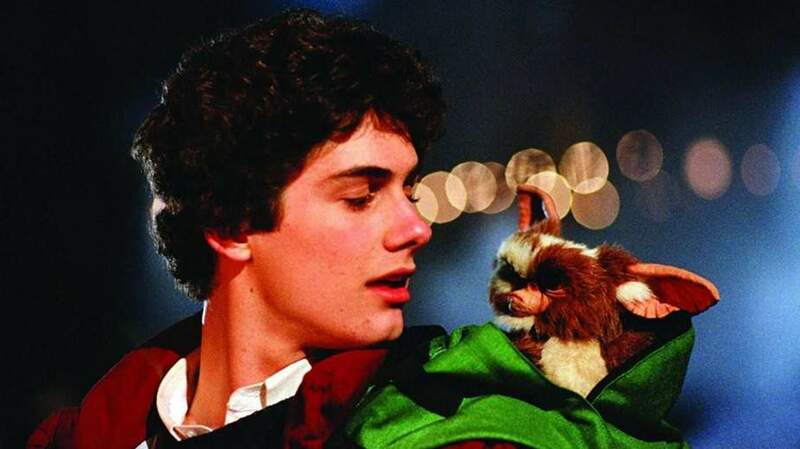 Gremlins is all about the chaos that lurks beneath the happy, shiny surface of America’s idealized image of itself. And what is more Norman Rockwell-wholesome than Christmas? Director Joe Dante takes joy in dismantling the sugar-sweet image of small-town America during the holidays in his manic tale of a teenage boy who adopts a strange critter called a mogwai, and quickly discovers the sweet fuzzball’s malevolent side. And if the resulting mayhem weren’t enough, there’s always Phoebe Cates’ truly disturbing Christmas memories to send shivers of glee down your spine. 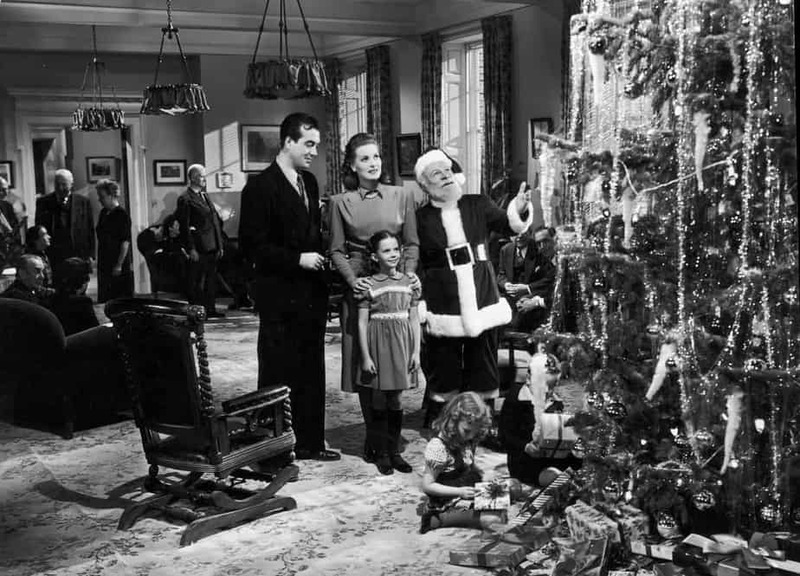 Miracle on 34th Street is best watched right after Thanksgiving, since it includes the Macy’s Thanksgiving Day Parade (or a fictionalized version of it), and goes all the way through to Christmas. It’s the whole holiday season package. The film was originally made in 1947 with Edmund Gwenn as Kris Kringle and baby Natalie Wood as the skeptical little girl he must convince. A remake followed in 1994, this one starring Richard Attenborough as Kringle (thereby cementing his late-career status as a generation’s kindly grandpa figure) and Mara Wilson, with a script by Christmas Vacation’s John Hughes. Both are fun, but the original still wins out. Why make a Christmas slasher movie? Maybe the better question is why not? Bob Clark’s low-budget classic birthed the concept of seasonally-themed horror movies, a full 7 years before John Carpenter’s Halloween came on the scene and changed the game forever. Black Christmas follows the residents of a sorority house over the Christmas holiday as they’re taunted by a serial killer (known only as “The Prowler” in the credits). The murderous stranger hides out in the house’s attic and begins a killing spree, creeping out the likes of Olivia Hussey, Margot Kidder, and Andrea Martin. A big part of Christmas spirit (beyond magic and cookies and gift-giving) is perspective. It’s a time of year when people take stock of their lives, count their blessings, and try to be more generous by taking time to understand the needs of others. Perhaps that’s why the Christmas “switcheroo” movie is so perennially popular. Taking 2 characters — one who takes their life for granted, the other in need of a break — and getting them to somehow swap lives allows room for adventure along with positive change. In the case of Trading Places, a pair of bickering commodities brokers try out a social experiment by destroying their wealthy employee (Dan Aykroyd) and putting a con man (Eddie Murphy) in his place. Easily the most watched of the Chevy Chase Vacation series, National Lampoon’s Christmas Vacation is beloved for reasons beyond its cheesy jokes, John Hughes script, and ace cast. Christmas Vacation is a movie about how hard it is to pull off a family Christmas, something anyone who’s had to host a family holiday can relate to. 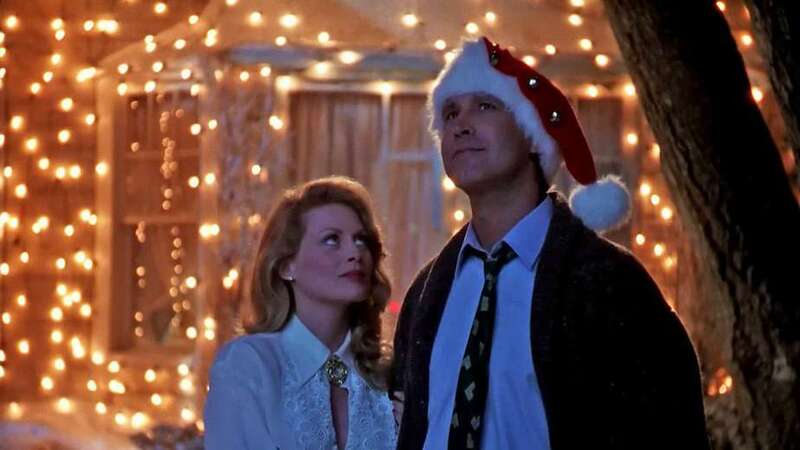 Chevy Chase’s Clark Griswold and his family are normal, working-class folks. Hughes had the good sense to set the story in Chicago (also the location for Home Alone), a working-class town that takes winter — and winter holidays — very seriously. Clark’s desire to give his family a memorable Christmas, his financial struggles, and — let’s be real — his materialism also speak to the experiences of many Americans. Put it all together, and you’ve got a movie with wide, lasting appeal. Christmas movies aren’t just for mainstream treacle-fests or snarky celebration. There’s stuff here for the arthouse crowd, too. 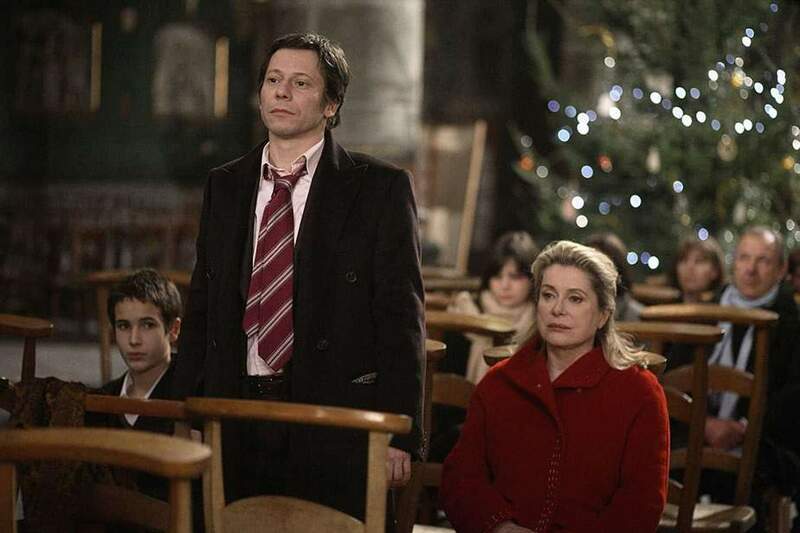 Take, for instance, Arnaud Desplechin’s A Christmas Tale. You’ll see lots of twinkly Christmas decor and family reunions, but you won’t be getting Christmas magic. Instead, you’ll get the emotionally complex story of a matriarch (Catherine Deneuve) with cancer, hoping one of her children can be a bone-marrow donor. A surprise appearance from the family’s once-banished black sheep son (Mathieu Almaric) throws everyone into disarray. Shane Black loves Christmas — at least as a storytelling tool. Since the late 80s, Black’s been writing exceptional action flicks that have helped define the genre, and most of them have something to do with Christmas. It’s a way to get characters on the same page, introduce themes of self-reckoning and loneliness, and inject some comic irony. The Long Kiss Goodnight, about a suburban homemaker who discovers she’s really a government assassin, is possibly the most aesthetically Christmas-focused entry in Black’s filmography (Kiss Kiss Bang Bang is a close second). 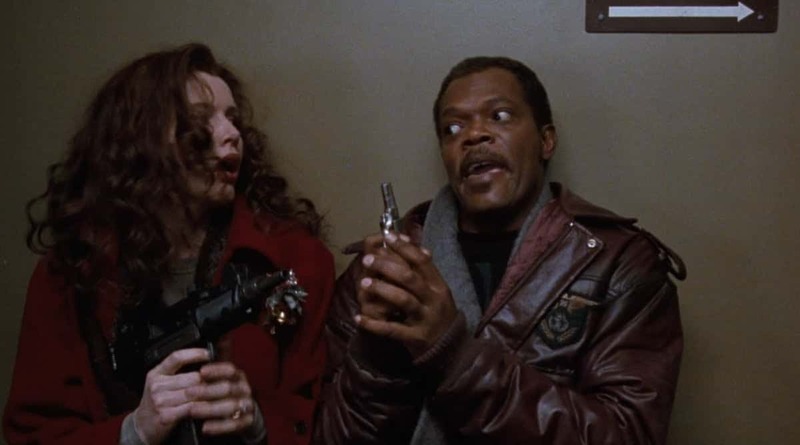 The Long Kiss Goodnight features snowscapes, holiday parades, and some sweet family moments in addition to frequent explosions and Geena Davis and Samuel L. Jackson’s odd-couple comedy. This film is an appropriate choice for anyone seeking a bitter palate cleanser after too many sugar cookies. 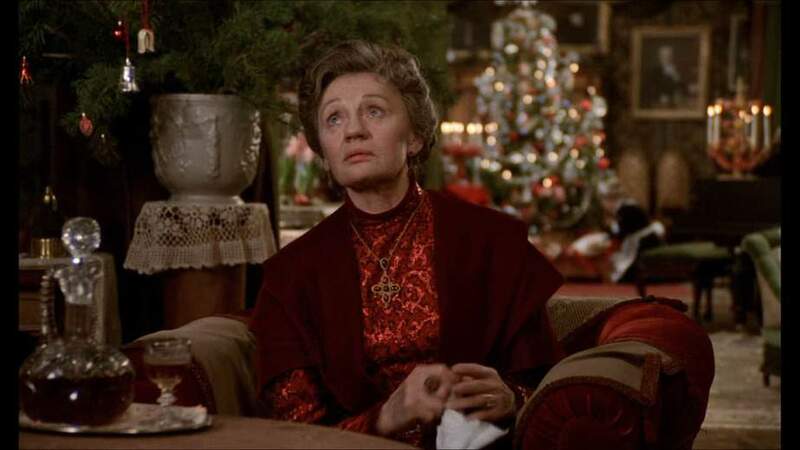 A low-key classic, The Bishop’s Wife is a charming, well-mannered Christmas movie. It’s got spiritual and social justice vibes in the vein of It’s a Wonderful Life, with a delightful all-star cast and good-natured comedy to boot. David Niven plays Henry Brougham, an American Anglican bishop whose desire to raise money and curry favor with wealthy parishioners has misaligned his priorities. Henry’s wife Julia (Loretta Young) is feeling a little neglected, and would like her husband to get his values straight. 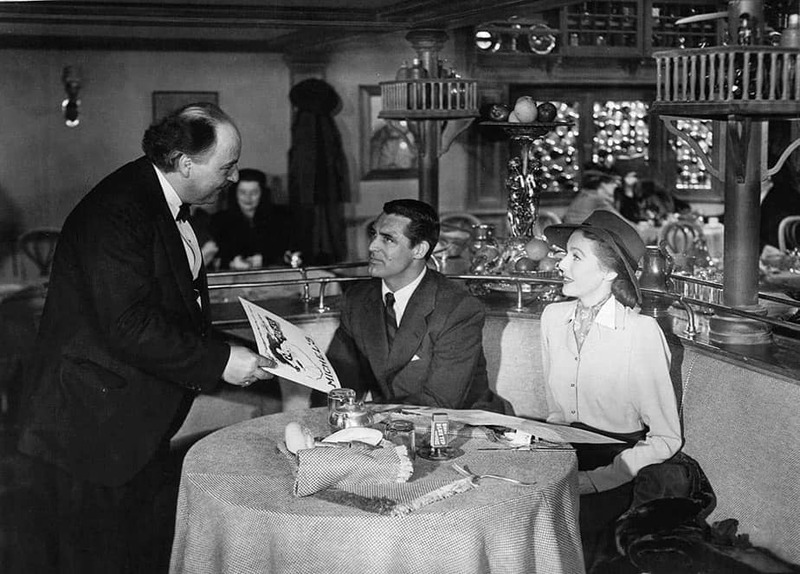 Enter Dudley (Cary Grant), a friendly, debonair angel who shows up to answer everyone’s prayers, fixing Henry and Julia’s marriage and helping Henry remember what’s most important in life, and in his work. The holidays aren’t a happy time for everyone, and Carol is a Christmas-set film that captures that wintry melancholy gorgeously. Todd Haynes’ drama, based on the Patricia Highsmith story The Price of Salt, introduces Carol Aird (Cate Blanchett), a wealthy socialite trapped in a loveless marriage. While buying a Christmas gift for her daughter, Carol meets shopgirl Therese, and the 2 embark on a doomed love affair. It features 3 legendary performers in their prime, great songs and choreography, and not only a healthy blanket of snow, but an entire musical sequence dedicated to it. White Christmas is a quintessential holiday movie, ideal for getting the season kicked off right. Like similar classic movie musicals, including Holiday Inn (which we’ll get to), the plot of White Christmas really just serves as a vehicle to get to the next big set piece. But what set pieces they are. White Christmas brings you great costumes, excellent choreography, a soundtrack by Irving Berlin, and the 3-for-1 combo of Bing Crosby, Rosemary Clooney, and Danny Kaye (with a special appearance by Vera-Ellen’s legs). What more could you ask for? For a Disney movie, 1994’s The Santa Clause has a pretty bleak premise. A divorced dad, Scott (Tim Allen), is spending time with his son on Christmas Eve when a stranger who looks an awful lot like Santa shows up on the roof, is startled, and promptly falls off the house and dies. Upon examination, Scott finds a card instructing him to put on the man’s suit, which he does, making him — much to his surprise — into Santa. As much as he might try to deny it, Scott can’t hide sudden physical changes (gaining weight, hair turning white) that go with his new identity. The well-received movie begat 2 sequels, each with diminishing returns — it’s safe to say you probably only need to watch the original. This delightful Ernst Lubitsch film inspired 2 reimaginings — 1949’s In the Good Old Summertime and the 1998 Nora Ephron film You’ve Got Mail. But of the 3, The Shop Around the Corner most closely aligns with holiday cheer, bookended by Christmas and set in the old-world charm of central Europe. 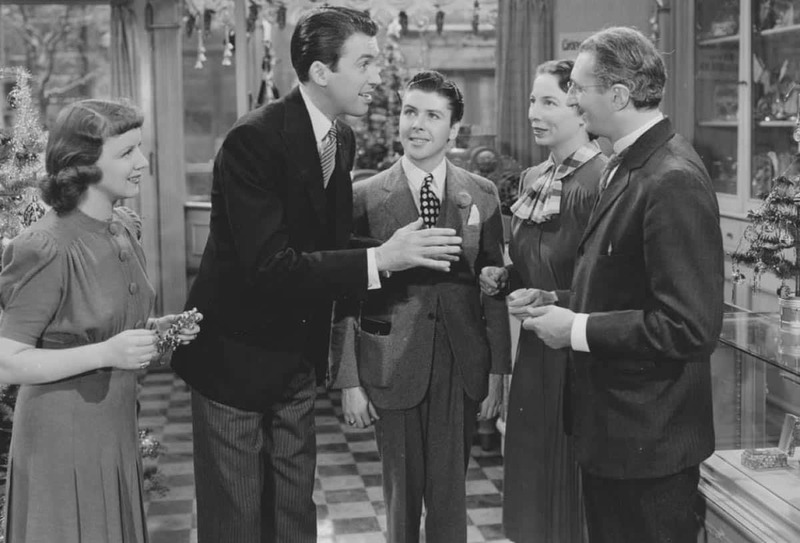 Like its remakes, Lubitsch’s movie focuses on 2 professional rivals (Jimmy Stewart and Margaret Sullavan) who have no idea they are each other’s anonymous pen pals. Unlike You’ve Got Mail, this film has its leads in the same workplace, allowing them to interact more frequently and bringing their charismatic co-workers into the mix. If you love Ephron’s film, you owe it to yourself to see what inspired it. Batman Returns takes a page out of the Shane Black screenwriting playbook. 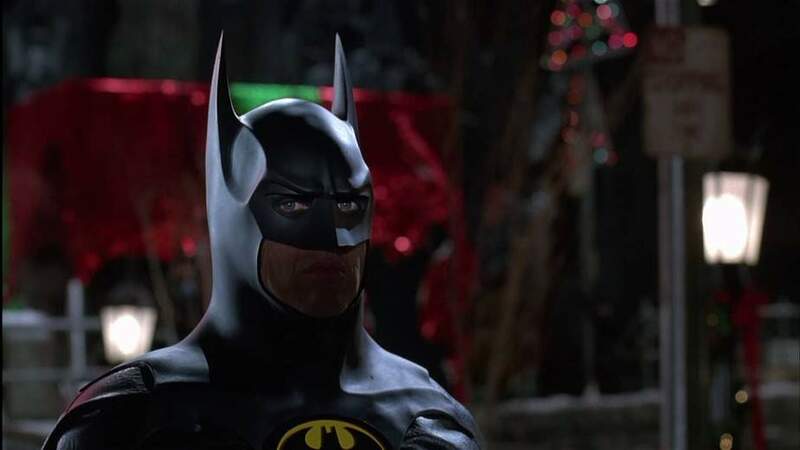 Like Black, Heathers screenwriter Daniel Waters uses the Christmas setting in Batman Returns to add a central structure and comic irony to this heightened gothic superhero film. All of it played right to director Tim Burton’s strengths in the early 90s, providing ample opportunity for visual kookiness and a frequent darkness that mirrors the short days and long nights of the season. Batman Returns is a Christmas movie for people who don’t like Christmas movies, and that’s fine — the movie’s decades of cult success prove there’s a strong market for that. Whether or not you love Love Actually says a lot about what kinds of Christmas movies you most enjoy. Love Actually is a bright, optimistic movie with lots of heartfelt conversations, romance, and logic-defying plot developments (there is no way little Thomas Brodie-Sangster would be able to barrel through airport security at Heathrow like that, lovestruck or no). It’s also genuinely funny, and jam-packed with big stars and holiday twinkles. Does it hold up as great art? Probably not. But it is first-rate entertainment, and sometimes, when it comes to Christmas movies, that’s all you need. Yes, it’s another Christmas Carol movie. But the Jim Henson Company’s take on the material is original enough that it warrants its own entry. 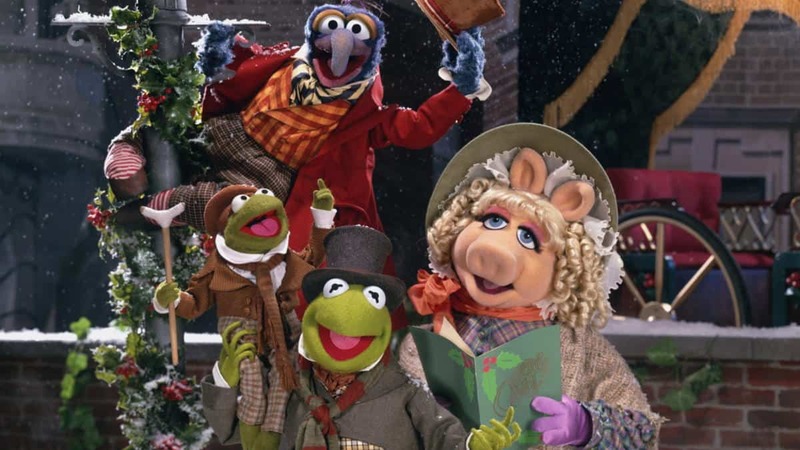 The first Muppet outing since Henson’s death 2 years earlier, The Muppet Christmas Carol lends that signature Henson charm and humor to the proceedings, with various Muppet characters cast in the familiar roles: Gonzo is Charles Dickens, Kermit is Bob Cratchit, Miss Piggy is Mrs. Cratchit — and the great Michael Caine, in top form, is Scrooge. Joe Swanberg’s Happy Christmas is a sweet, naturalistic family comedy that plays up the easy chemistry of its stars, including the director’s adorable toddler son, who walks (or, as the case may be, crawls) away with the whole film. Swanberg and Melanie Lynskey are Jeff and Kelly, a married couple with a sweet little boy. Their home is thrown into chaos when Jenny (Anna Kendrick), Jeff’s hot mess of a sister, comes to stay with them. Jenny’s spontaneity and active social life prompt jealousy in Kelly, but her irresponsibility puts her at odds with everyone, and endangers her growing relationship with the family’s nanny (Mark Webber). In terms of a double feature, Terry Gilliam’s dystopian Brazil might pair well with Batman Returns — that is, if the anti-holiday sentiment doesn’t bring you down too much. Both movies involve highly stylized urban settings, and both of them take place during and around Christmas. In both films, the setting is used to criticize the inequality and gross materialism of modern society. 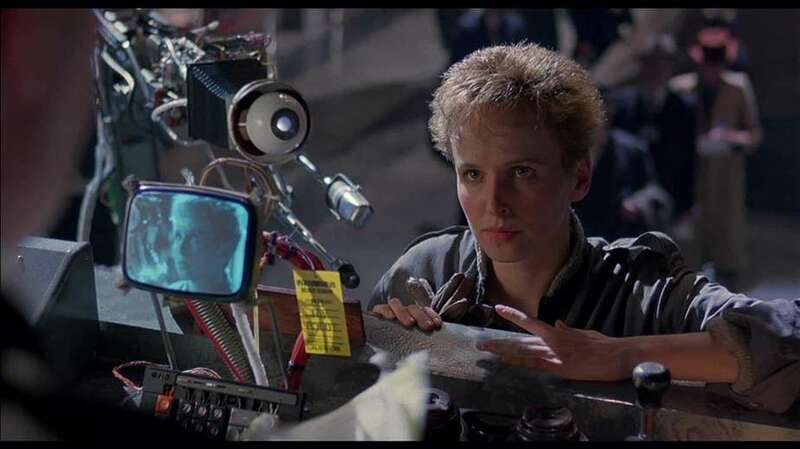 Gilliam’s movie takes inspiration from George Orwell’s 1984, telling the story of mid-level bureaucrat Sam Lowry (Jonathan Pryce), whose vibrant daydreams help him escape the doldrums of his existence. Sam’s forced to reckon with reality when he meets his literal dream woman (Kim Griest), who’s trying to appeal the wrongful arrest of her neighbor. All of it happens against the backdrop of thoughtless upper-class materialism (expressed through impersonal holiday gift-giving) and domestic terrorism. It’s a holly, jolly good time for all. Between this film, Happy Christmas, Home Alone, and National Lampoon’s Christmas Vacation, there’s a strong argument to be made for the existence of a Chicago Christmas Cinematic Universe. 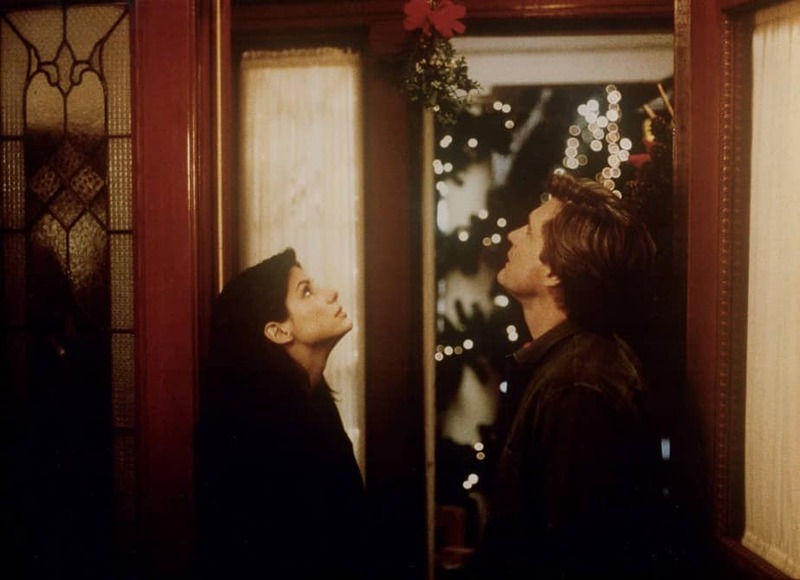 As a child of the 90s who grew up in the Windy City, however, I can personally attest that this Sandra Bullock romantic comedy speaks most strongly to what winter in Chicago really feels and looks like. Bullock plays Lucy, a Chicago Transit Authority token collector with a crush on a businessman, Peter (Peter Gallagher), who comes through her booth every day. An accident knocks Peter onto the tracks and leaves him in a coma after Lucy rescues him. When Lucy shows up at the hospital to visit, she’s mistaken for his fiancee by Peter’s estranged family, and quickly welcomed into the fold over the holidays. But the longer she keeps up the lie, the more Lucy feels drawn to Peter’s down-to-earth brother, Jack (Bill Pullman). Rocky family get-togethers are a staple of Christmas films, and The Family Stone is no exception. 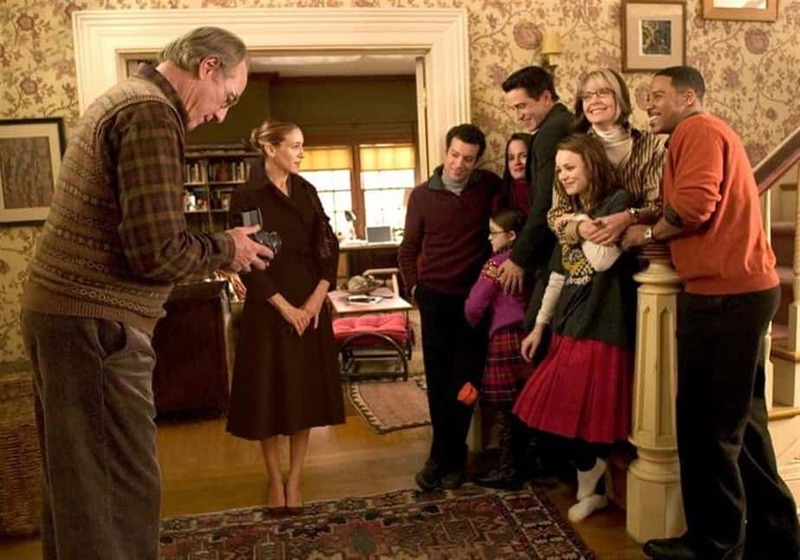 Here, buttoned-down Meredith Morton (Sarah Jessica Parker) is meeting her fiancee Everett’s (Dermot Mulroney) eccentric family for the first time at Christmas. After the initial meeting doesn’t go well — Everett’s mom (Diane Keaton) and youngest sister (Rachel McAdams) have it in for her — Meredith recruits her sister Julie (Claire Danes) to back her up. Julie’s arrival creates romantic confusion between Meredith, Everett, Julie, and Everett’s black sheep brother (Luke Wilson). Penny Marshall’s reimagining of The Bishop’s Wife gets its own slot for adding some diversity to the proceedings. It’s not a straight remake, like Miracle on 34th Street or The Grinch. Instead, it uses familiar characters to create a modern spin on the traditional plot. Here, Henry, Julia, and Dudley are all played by African-American actors, and Henry pastors an impoverished Baptist church on the verge of being closed down. 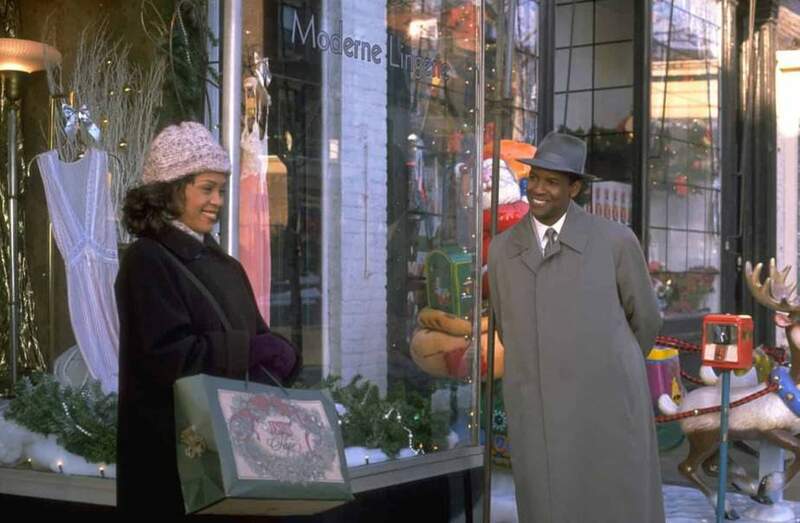 Denzel Washington plays the charming angel Dudley. Whitney Houston plays the titular wife, Julia — and of course, the film includes a few opportunities for her to show off her voice. 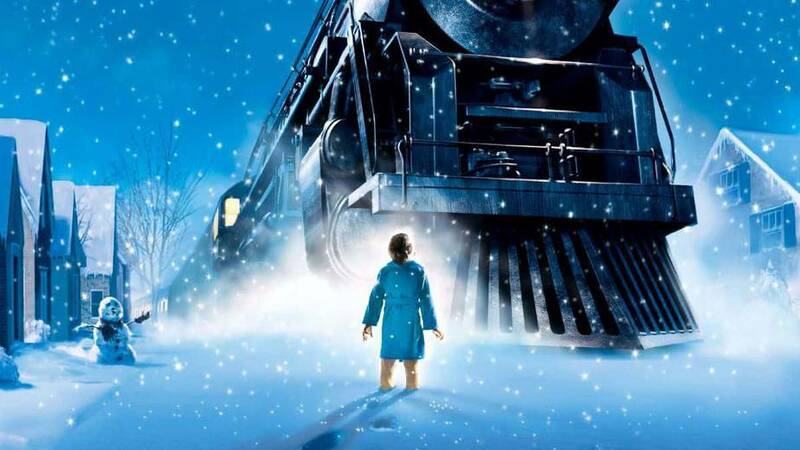 Based on the classic Chris Van Allsburg picture book, Polar Express was director Robert Zemeckis’ first exploration into feature-length motion capture animation. 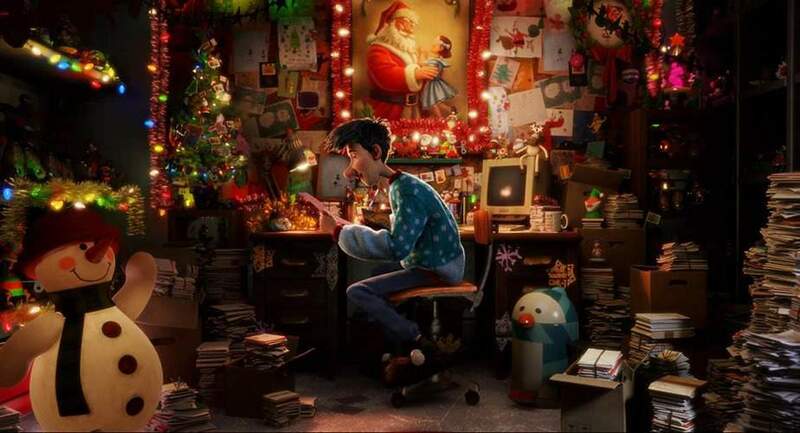 The film focuses on a young boy unsure of Santa’s existence who is taken on a magical journey to the North Pole on Christmas Eve. Polar Express is full of wonder and music, with a multi-faceted performance from Tom Hanks at its center. But because of issues with the animation and its nosedive into the uncanny valley, it’s more of an interesting experiment than a truly great movie. Who doesn’t love a cheeseball, laughably bad Christmas romance? What was once the domain of Hallmark and Lifetime expanded to the streaming world last year with Netflix’s release of this goofy movie that turned into a viral sensation. 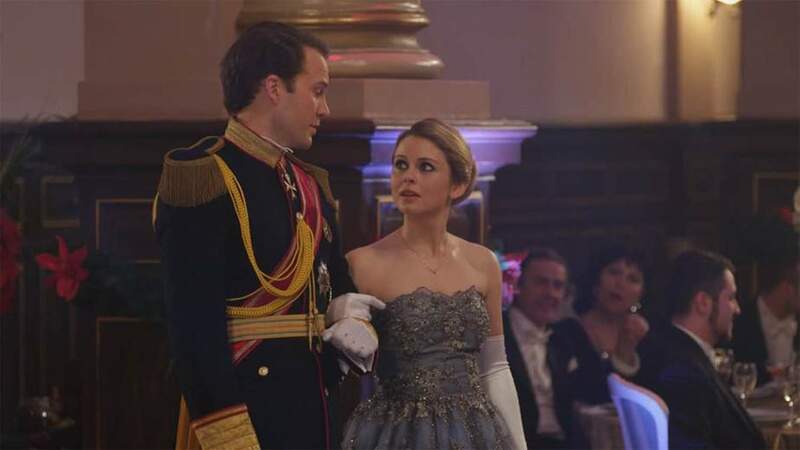 Witness iZombie’s Rose McIver break some royal hearts as Amber, an American journalist who heads to a fictional European kingdom to cover a coronation. There, she’s mistaken for the royal tutor to impish Princess Emily and falls in love with the prince himself. And if you can’t get enough of the holiday hijinks, you can always check out the newly-released sequel. 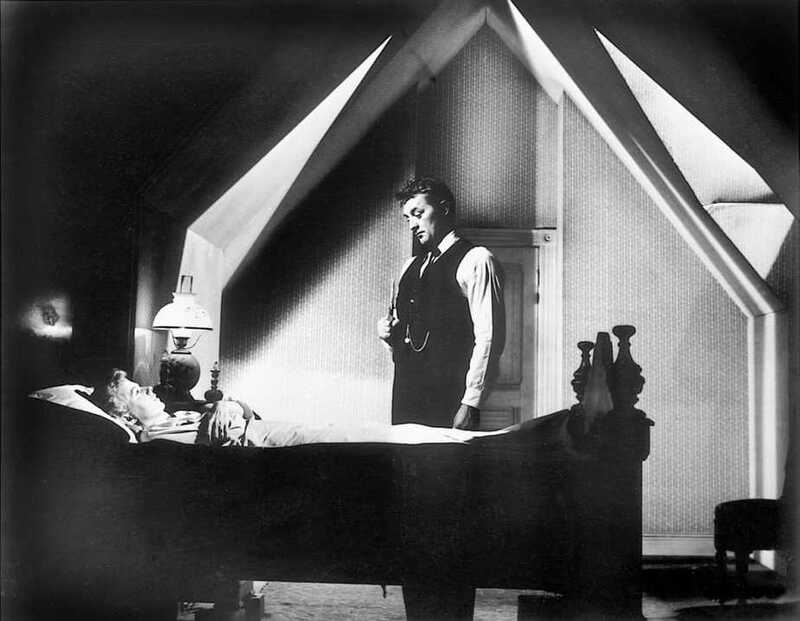 The Night of the Hunter is nominally a Christmas movie — the holiday only plays a role at the very end. But the generous spirit of Christmas is baked right into Charles Laughton’s masterpiece. If you haven’t yet seen it, there’s no time like the holidays to experience it for the first time. In the film, Robert Mitchum plays itinerant preacher Harry Powell, who funds his ministry by killing widows and taking their money. After meeting a man in prison on death row for killing 2 men in a bank robbery, Harry goes after the man’s widow (Shelley Winters) hoping to find the stolen loot. The only people who know the location are the man’s 2 children, John and Pearl, who refuse to tell. They go on the run, eventually ending up with a kind woman, Rachel (Lillian Gish), who helps them re-learn the values of trust, charity, and love. It all culminates in a scene on Christmas Day that’s so touching it could wring tears from a statue. Shane Black’s other most Christmas-focused movie, Kiss Kiss Bang Bang, marked Black’s return to the movies after a 7-year hiatus, as well as his first time in the director’s chair. A tale of murder, petty crime, and mistaken identity, Kiss Kiss Bang Bang tells the story of Harry (Robert Downey Jr.), a small-time thief who ends up in a movie audition while on the run from the cops. The audition introduces him to Perry (Val Kilmer), a cop who’s serving as a Hollywood consultant. The 2 are caught up in a murder investigation that also happens to involve Harmony (Michelle Monaghan), Harry’s childhood sweetheart. You won’t find warm and fuzzy Christmas vibes here, but there are visual trimmings and holiday critique galore. There are 2 schools of thought about Die Hard. One states that John McTiernan’s very-nearly-perfect action thriller is a true holiday film. The other is that it’s merely a movie that takes place at Christmas. But that second camp simply has it wrong. 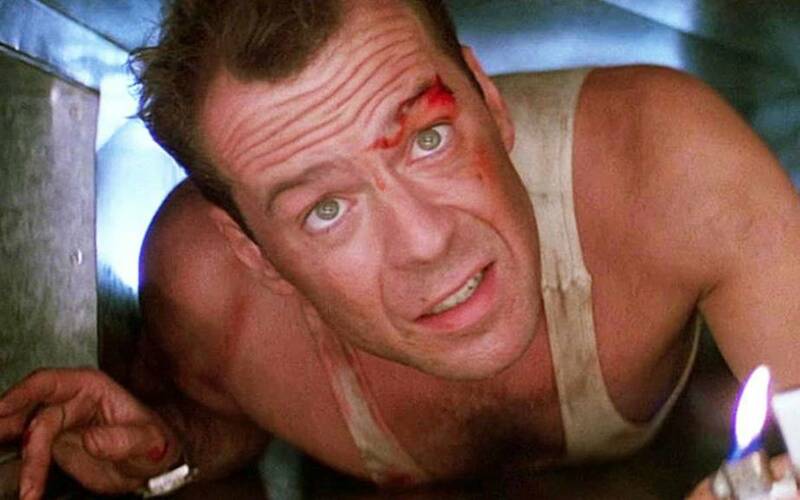 Christmas is baked into Die Hard’s DNA — more so than most other Christmas-set action films. Not only does it provide some of the movie’s best lines (“Now I have a machine gun…Ho. Ho. Ho.”), but the holiday is the entire mechanism on which Die Hard’s plot hinges. It may also be the only movie on this list to use Run-DMC’s great “Christmas in Hollis” on the soundtrack. The only reason it isn’t ranked higher? The LA setting means a complete lack of snow (unless you count the illegal kind). Like Holiday Inn, Meet Me in St. Louis is the origin of a beloved Christmas tune, this time “Have Yourself a Merry Little Christmas.” The story centers on a turn-of-the-century St. Louis family facing emotional trauma around a possible move. 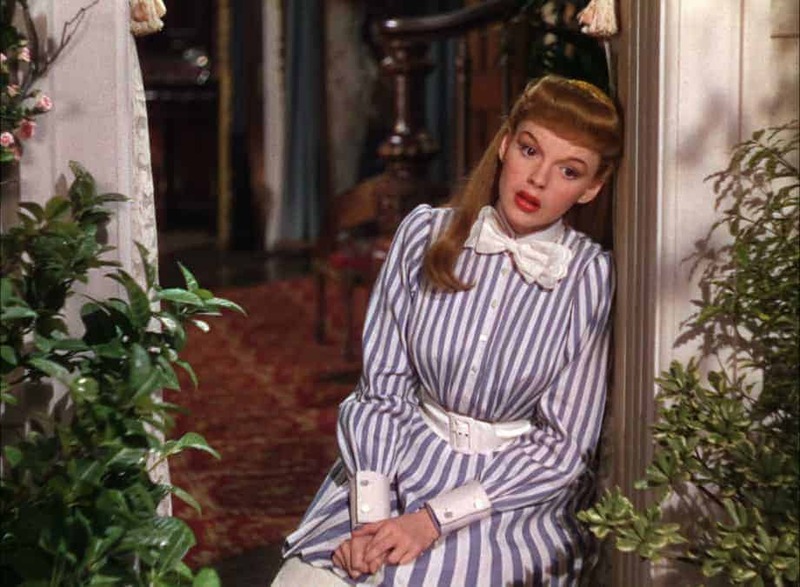 Meet Me in St. Louis only partially takes place at Christmas, giving it a bit of a ding in the Holiday Centrality department. But Judy Garland’s performance of the song the film made famous is iconic, as is the emotional moment that the song accompanies. Holiday Inn gets billed as a Christmas movie. But really, you could watch the movie all year long and it would still be appropriate. 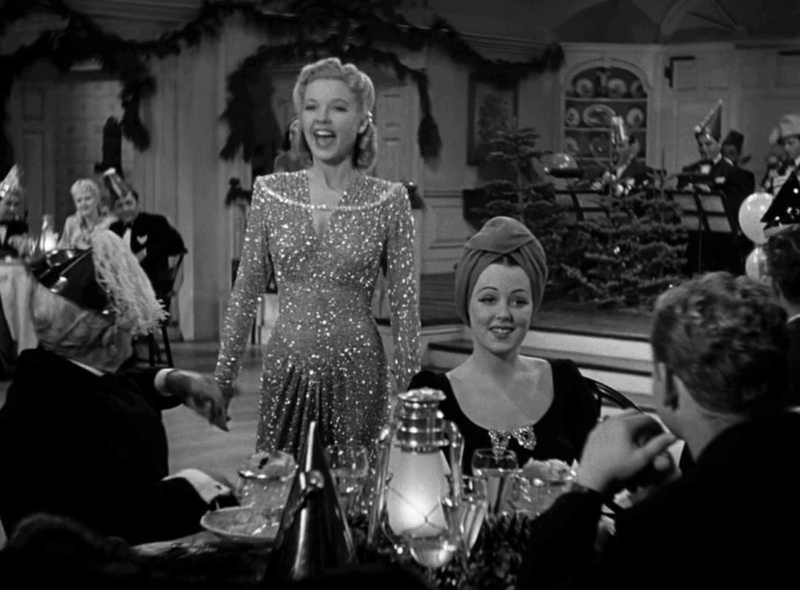 Boasting a great cast and another set of Irving Berlin songs (it’s the origin of “White Christmas”), Holiday Inn’s conceit is a hotel that’s only open on holidays. Fred Astaire and Bing Crosby run the show — and battle it out over the attentions of the hotel’s singer, Linda (Marjorie Reynolds). “Only open on holidays” means all holidays, so in addition to Christmas, Holiday Inn has songs for Easter, Valentine’s Day, and even President’s Day. It’s a fun idea, but the framework gets a little tired after a while. Holiday Inn has its charms, but if it comes down to it, White Christmas is the better option. Hook is nominally a Christmas movie. Its central mythical figure is not Santa, but Peter Pan. However, Steven Spielberg’s use of Christmas here does set us up for magical hijinks, high fantasy, and themes of family togetherness, all of which tick the boxes for a great holiday at the movies. 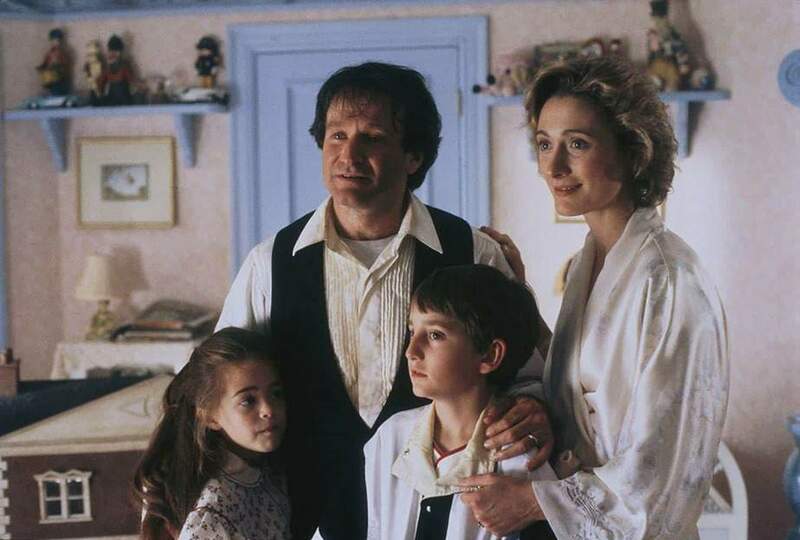 The film introduces us to a career-obsessed adult Pan (Robin Williams). Originally a critical and box office flop, the court of public opinion (and public nostalgia) has moved Spielberg’s swashbuckling adventure to the status of generational cult classic. 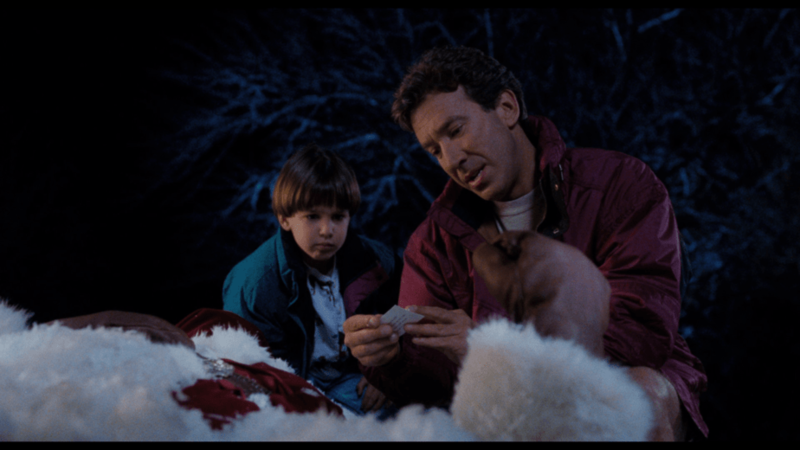 Jingle All the Way attempts to offer a satirical take on Christmas commercialism and the blood sport that is trying to find the right gift for your kid. 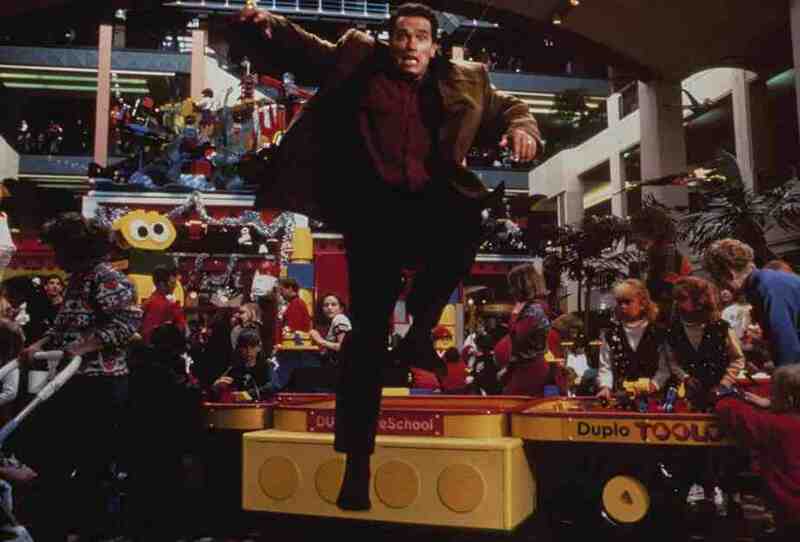 But it’s perhaps most memorable for the image of Arnold Schwarzenegger launching himself through a crowded mall. In the film, Howard (Schwarzenegger), a workaholic dad on the outs with his wife and kid, tries to make amends for his absence by getting his son’s most-desired gift: a Turboman action figure. Of course, everyone else wants to get their hands on a Turboman, too, including over-the-top postal worker Myron (Sinbad). Jingle All the Way has plenty of slapstick comedy to recommend it, but it may leave a sour taste in your mouth with its lack of goodwill toward others. We’ve already discussed the life-swap Christmas movie. Nancy Meyers’ rom-com brings us a new version: the house-swap Christmas movie. Iris (Kate Winslet) is a British journalist reeling from an affair gone wrong. Amanda (Cameron Diaz) is a high-maintenance businesswoman who’s just broken up with her boyfriend. Both of them are looking for a temporary escape. Discovering each other on a home-exchange site, the 2 women agree to trade houses over the holiday. The film is a little long, but it’s still a cozy bit of indulgent fantasy.